I was a contributor for the wonderful Icon Concierge once again to cover the Stephen Burrows Fall 2012 NYFW Show/Presentation. Below is my article which you can also find here. With over 40 years of experience within the fashion industry, Stephen Burrows is certainly no stranger to the game. His Fall 2012 RTW collection has truly proved how much of an icon he really is. “It was about a chevron, it’s all about a chevron and a graph that has peaks and valleys. I did that cut and sewed it into a pattern of zig zags, which is a signature of mine. It’s not even zig zags, it’s off kilted zig zags,” Burrows stated while describing what his inspiration was for the collection. The pieces ranged from chevron inspired knit dresses to denim and playful after hour attire thus creating a perfect day to night collection. A couple of his menswear inspired pieces clung closely to the body which added a touch of femininity. The collection had a wonderful combination of Fall colors with the likes of black and bright red tones, browns, whites and blues. Backstage, moments before his Fall 2012 collection premiered, Burrows stated that he still gets nervous. “You always get nervous right before, leading up to it. Just in general, that everything is going to be good and everything is going to be okay. You consciously think about that,” he said. 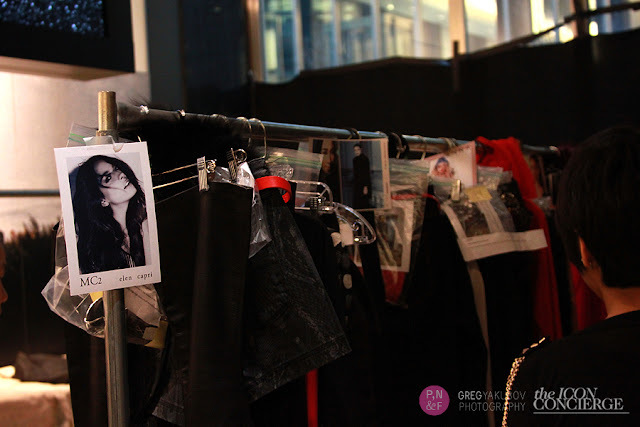 Not only was the collection filled with fun pieces, the music and models added to the experience. The models walking down improvised while dancing and smiling, which is another signature of Burrows. I would like to thank Sade founder of Icon Concierge for giving me this opportunity and I look forward to working on more events with them in the future. great pictures! love the backstage ones. 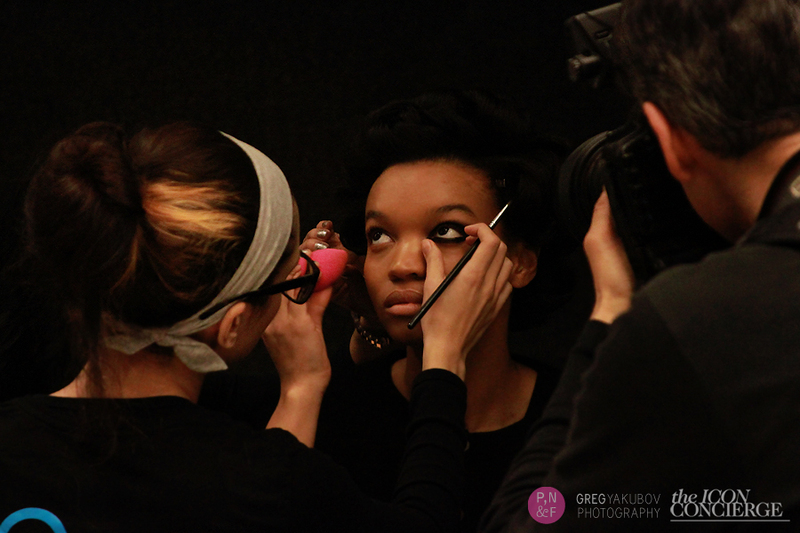 Love the backstage photos of the makeup application.. very cool! im loving the orange and red dress on the right in the first photo! one of my fav color combos of the moment. Lovely! I love all the bright lip colours!